Thảo luận trong 'English Discussion' bắt đầu bởi Tony, 21/6/16. Hiện quan điểm của Nga về tranh chấp trên Biển Đông khá mập mờ, nhưng hãy đọc các bài viết trên báo Nga để thấy thái độ phản đối Mỹ hành xử ở Biển Đông, cũng như thái độ ủng hộ Trung Quốc ở Biển Đông. Thậm chí ông đại sứ Nga tại TQ còn cho rằng TQ có quan tâm tới tự do hàng hải. Không hiểu người Nga nghĩ gì khi mà TQ liên tục bắt chẹt các nước nhỏ trong khu vực, gây hấn với Mỹ khi Mỹ thực hiện hành động tự do hàng hải trong khu vực. Người Nga luôn phát biểu không can thiệp vào khu vực, nói rằng cần tôn trọng các điều ước quốc tế... nhưng Nga có thái độ không vui với việc Phi kiện TQ ra tòa quốc tế. Hơn nữa, Nga còn nhăm nhe sẽ giúp TQ các vũ khí chống hạm để TQ có thể đối phó với Mỹ tốt hơn. Người Nga thậm chí còn nói rằng Nga và TQ không muốn bá chủ thể giới, cho rằng chủ quyền của TQ ở Biển Đông đã từng được thừa nhận trong quá khứ và Mỹ mới là kẻ gây rắc rối cho khu vực châu Á-TBD. 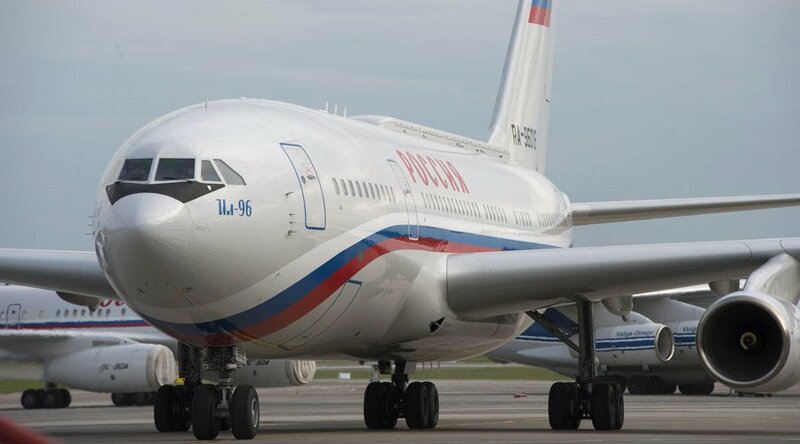 According to Russia's ambassador, it’s clear that Beijing is interested in "securing the freedom of navigation without any complicating circumstances more than anyone else"
BEIJING, June 21. /TASS/. The current tensions in the South China Sea have been created artificially and are linked to the interference of states outside the region, Russian Ambassador to Beijing Andrey Denisov said in an interview with Russian journalists on Tuesday. "If not accusations then at least suspicions against China voiced by some world capitals regarding restrictions if not say a threat for the freedom of navigation, according to Russian experts, are artificial and have no relation to reality," the ambassador said. China, which became the world’s largest trading nation a long time ago even overtaking the United States, carries the majority of its cargos by sea routes, including through these waters, Denisov said, adding that it’s clear that Beijing is interested in "securing the freedom of navigation without any complicating circumstances more than anyone else." The position of Russia linked to the disputes over the territorial problems in the South China Sea is well-known, he reminded. "It is logical and rather definite. We call for solving any disputes by negotiations between the countries taking part in these or those discussions," he said. The Kremlin could one day regret any US detachment from the South China Sea, American geopolitical analyst Tim Daiss insists. Are Washington's efforts truly aimed at maintaining the freedom of navigation in the region or is it part of Obama's plan to write the rules and call the shots in the Asia Pacific region? Russia's opposition to internationalizing the South China Sea dispute and the US deployment of the Terminal High-Altitude Area Defense (THAAD) system in South Korea has promted deep concerns among American geopolitical analysts. Moscow's support for Beijing has put the US plan to pressure China into making concessions on the maritime dispute in the South China Sea at risk. On the other hand, India's decision to side with China on the issue has caught Western observers by surprise. "China and Russia have agreed on the need to limit US influence in the Asia Pacific Region. On Friday, following bilateral talks in Beijing Russia's foreign minister Sergey Lavrov and his Chinese counterpart Wang Yi expressed opposition to the US deployment of an anti-missile system in South Korea and also said that non-claimants should not take sides in the dispute over maritime territorial claims in the South China Sea," American geopolitical analyst Tim Daiss wrote in his Op-Ed for Forbes. 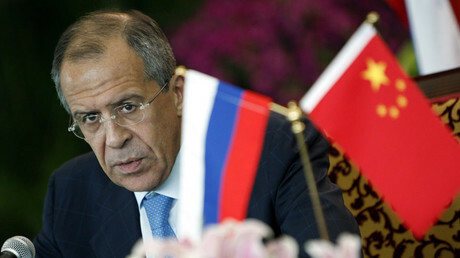 Russian Foreign Minister Lavrov has repeatedly stated that the South China Sea dispute should be resolved by the parties directly concerned, while outside powers should refrain from interfering. The statement coincided with reports that Beijing is seeking Moscow's support over the South China Sea court battle with the Philippines in the Hague. Nearly three years ago, the Philippines, backed by America, filed a lawsuit against China in the Hague International Tribunal Court. In October 2015 the Permanent Court of Arbitration in The Hague confirmed that it would hold a hearing on the matter. The hearing is expected to take place in May or June 2016. "China is lobbying Russia for support in opposing international court proceedings launched by the Philippines over the disputed South China Sea," South China Morning Post reported April 20. Beijing has reason to believe that Moscow can provide it with juridical assistance to solve the problem, Alexander Shpunt of Russia's Regnum media outlet suggested. Shpunt called attention to the fact that on April 20 Moscow won the Yukos case in the District Court in the Hague; a Dutch court overturned an award of $50 billion to former shareholders of the now defunct Yukos oil company that Russia had been ordered to pay by the Permanent Court of Arbitration in 2014. The journalist continued that Lavrov's notion about "outside parties" in the South China Sea dispute is a direct reference to the Permanent Court of Arbitration in the Hague that will soon hold hearing on the Philippines' complaint against China. This is the issue of utmost importance for Beijing that Moscow has outplayed the Permanent Court of Arbitration, Shpunt emphasized. However, according to Daiss, Beijing is the major troublemaker in the region that plans to outwit its "much smaller Asian neighbors." "Who knows what the future holds geopoliticaly?" he wrote, adding that "the Kremlin could one day regret any US detachment from the South China Sea." Like many other Western observers Daiss remained silent about the fact that China's Asian neighbors are alsoinvolved in controversial building activities in the South China Sea region, while, for example, Taiwan's constructions in the Spratlys are located outside any claimed Taiwanese exclusive economic zone. 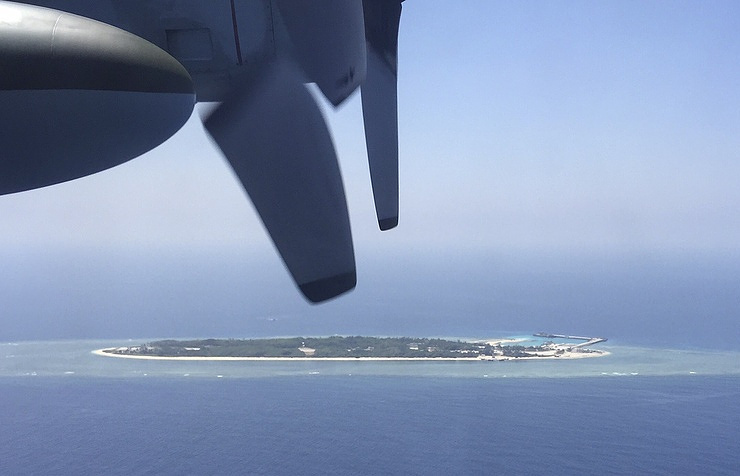 "Of the six countries claiming an interest in the Spratlys, only Brunei has failed to construct structures, mostly on stilts, on more than 40 of these islets and reefs. Yet the western media again focuses exclusively on [China's] 'aggressive' reclamation and building activities," Australian lawyer James O'Neill wrote in his article for New Eastern Outlook. What lies at the root of this double-standard approach? And is Washington really "trying to keep the sea lanes open in the name of freedom of navigation for any and all countries" as Daiss claims? Apparently, US President Barack Obama's latest Op-Ed in the Washington Post could shed some light on the matter. 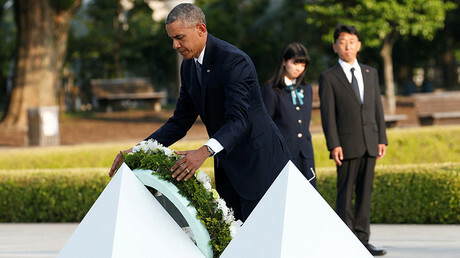 "Today, some of our greatest economic opportunities abroad are in the Asia-Pacific region, which is on its way to becoming the most populous and lucrative market on the planet," Obama wrote. "Of course, China's greatest economic opportunities also lie in its own neighborhood, which is why China is not wasting any time," he noted referring to Beijing's New Silk Road initiative. "Instead, America should write the rules. America should call the shots. Other countries should play by the rules that America and our partners set, and not the other way around," Obama stressed. Given this, it becomes clear that what Washington is truly interested in is not the freedom of navigation "for any and all countries," but its dominance in the region. Russia and China have strengthened their cooperation and proved their partnership is vital despite Western sanctions and Washington’s disapproval of their strategic alliance, participants of the Russia-China forum in Moscow told RT. 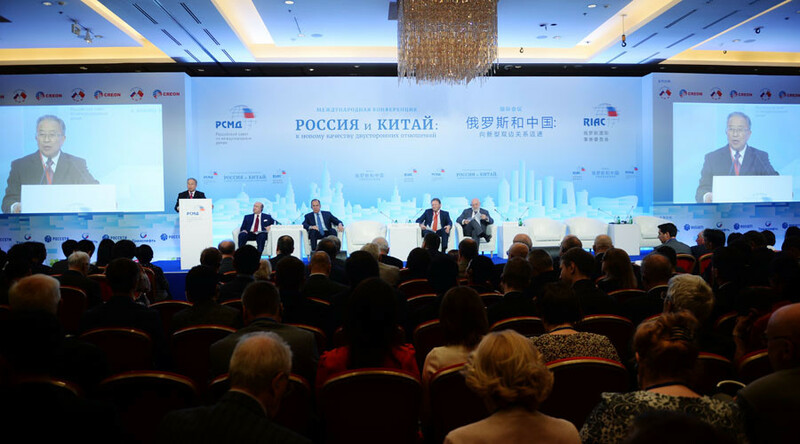 The conference titled “Russia and China: Taking on New Quality of Bilateral Relations” took place on May 30 and May 31. It was organized by the Russian International Affairs Council. “Together we can become a center that can influence global processes,” Boris Titov, co-chairman of the Russian-Chinese Friendship committee and Russia’s ombudsman for entrepreneurs’ rights, told RT on the sidelines of the conference on Tuesday. While securing funding in the West has become more difficult, the sanctions themselves do not pose a great challenge for Russia-China cooperation, as they do not affect mutual projects involving mid-sized and small businesses, according to Titov. “We view sanctions as of little importance to the economy,” stressed the ombudsman. Huge markets for Russian goods have been created in China, especially environment-friendly products, which are high in demand. “Politics always contradicts economic interests, business is far away from politics, we need honest and direct relations,” the co-chairman noted, adding that one of the main obstacles to closer cooperation is the sprawling red tape afflicting both countries. 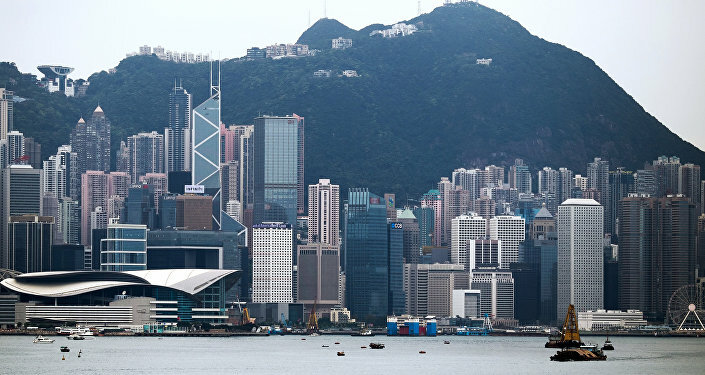 For Russia, the expansion of economic activities into Asia, and East Asia in particular, is of crucial importance, as the region provides “significant opportunities” in terms of investment and trade, Yaroslav Lisovolik, chief economist at the Eurasian Development Bank, said. Lisovolik said, given the West’s apparent reluctance to remedy relations with Russia and Beijing, it will “simply start to lose investment and trade flows” to sanctions, seriously calling their long-term effectiveness into question. Countries imposing indiscriminate restrictive measures that hurt mostly the broad masses, and not targeted at elites,“should be ready to take the price of sanctions” on their own economies, said Nandan Unnikrishnan, Vice President and Senior Fellow at the Observer Research Foundation in New Delhi. “If you sanction me you cannot be my partner,” the researcher stressed, adding that he thinks that sanctions remain “an impediment to the growth of closer economic ties” between China and Russia. The intertwined nature of US-China economic relations is forcing Chinese leaders to carefully examine all of the consequences before “the strategic embrace takes place between China and Russia,” he observed. 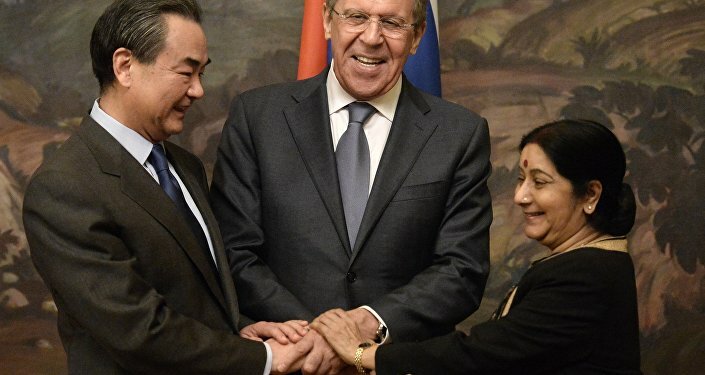 Despite the complexity of relations in the US-China-Russia triangle, the potential for China-Russia cooperation is still“huge,” as they share a common multipolar approach to international relations. “Neither of the two countries want hegemony in the world – this combines Russian and Chinese interests at this stage,”Unnikrishnan concluded. In fact, this strategy has borne fruit in the Asia Pacific region as a whole, argues Li Yongquan, Director of the Institute of Russian, East European and Central Asian Studies at the Chinese Academy of Social Sciences (CASS). “The development of China-Russia ties ensured stability in the region”for the past 20 years, which should serve as the example “for everyone else in the world” in terms of international relations. Commenting on destabilizing factors in the region, the researcher blamed the US for the rising tensions over the South China Sea, some areas of which are contested between China and Washington’s allies. “In the past, South China Sea was never an issue. Some countries in the past recognizing China’s sovereignty in the region have recently changed their stance,” he said, noting that this is a “man-made problem” forged by the US. Titov said that close cooperation between Russia and China is an irritant for the US, which has prompted its attempts to thwart a Russia-China strategic alliance. Earlier at the forum, Russia and China agreed to increase trade from $90 billion this year to $200 billion within the next four years. Russian Deputy Prime Minister Arkady Dvorkovich described the ambitious goal as “challenging but realistic.” China is Russia’s second largest trade partner after the EU.